KempBridge community is sold out and is not in active development by builder. If you are interested in KempBridge or similar new home communities, contact us today! 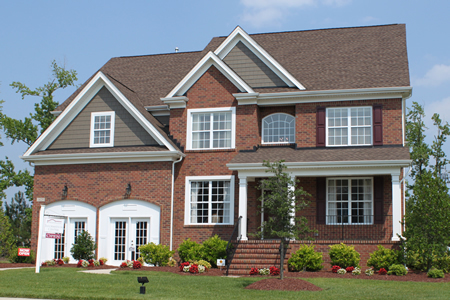 Our agents are very familiar with new and newer construction in Chesapeake, and can identify resale opportunities in KempBridge, as well as builder inventory available in nearby or similar communities in Chesapeake. To view 9 more pictures, interactive maps and the full, detailed description of the KempBridge community, please Login. KempBridge appeals to homebuyers of today. Between the real estate and the builder, this place has does not disappoint. This compound has traditional architectural elements that let residents know they are surrounded by class. Located in the Greenbrier area of Chesapeake, VA, this development gives homeowners the opportunity to easily commute from military bases like the Coast Guard Finance Center and NAS Oceana. Tiptoe around one of these new construction homes and you’ll want to see more. The builder took great pride in ensuring these houses would be pleasing to look at and easy to care for. Exterior features of real estate here include foundation with crawl space and brick skirt, seamless aluminum gutters, sod and shrub package for yard, aluminum rails on front porch, 30-year architectural shingles and more. Inside each house in KempBridge, homebuyers will find how the builder paid attention to all the details. Real estate with so many pluses is not easy to find in Hampton Roads. Each of the new construction homes here comes with brushed chrome door hardware, dining room chair rail, gas fireplace with marble or slate surround, garage service door, eat-in kitchen, GE appliances, 42-inch raised panel kitchen cabinetry and much more. Virginia is a Commonwealth of several metro areas, but one of the fastest growing ones is Chesapeake. This area is home to so many activities that homeowners won’t have to face a single boring afternoon. Living at KempBridge affords owners the luxury of being close to Greenbrier Country Club where they can swim, play tennis, work out and dine in style. Golfers can also enjoy a game of golf on the 18-hole championship course. It’s nice to know that some builders really do care about the kind of new construction homes they create. Come see the difference here. Real estate at KempBridge is not just a place to live; it’s a way to live. Send me more information about communities similar to KempBridge. Our agents gladly offer FREE property tours of KempBridge, Chesapeake and homebuyer consultations to all serious buyers.